The unique Delta Wing car was just one of the late Don Panoz’s contributions to auto racing. Don Panoz was motor racing’s imp of the reverse. A diminutive, brilliant redhead with a keen sense of how to get things done, Don was at his best pursuing goals that others suggested couldn’t be accomplished. Build a bridge between the U.S. and the Le Mans 24-hour? “C’est impossible, monsieur!” But Don did it. The link he established to the Automobile Club de l’Ouest, operators of Le Mans, became not only the starting point for the Petit Le Mans, celebrating its 21st running this weekend, and the American Le Mans Series. It eventually became a cornerstone in unifying sports car racing. The higher the stakes the better for Panoz. Unify sports car racing? Not possible. But Panoz did it. He arrived in the midst of a worldwide free-for-all that included the SCCA, the France family of NASCAR, the ACO at Le Mans, and the FIA. By time he was done, a worldwide platform for sports cars had been established, gradually built around Panoz’s original partnership with Le Mans. Build a front-engine sports prototype? Don did it and then proceeded to beat Audi’s all-conquering R8 with the Panoz LMP-1 Roadster S. One of a string of iconic machines, the LMP-1 was the chopped and channeled version of the immortal Panoz GTR-1 designed by Adrian Reynard. After a second, ill-fated prototype, there was a return to the roots of son Danny’s auto company with the Esperante GT-LM, a winner at Sebring. Most recently the Avezzano GT clinched a Pirelli World Challenge manufacturers title. Two acquisition projects, G Force and the DeltaWing had varying outcomes. Road Atlanta was a Don Panoz racing acquisition. Under the Panoz umbrella, G Force won the Indy 500 in 2003 and 2004. The DeltaWing never won much of anything, but sure stirred the pot with its radical lightweight approach. Road Atlanta and the Sebring International Raceway were two other acquisition projects. Spend $10 million on refurbishing Road Atlanta? The smart money predicted he would never get his investment back. The smart money didn’t foresee the Petit Le Mans. 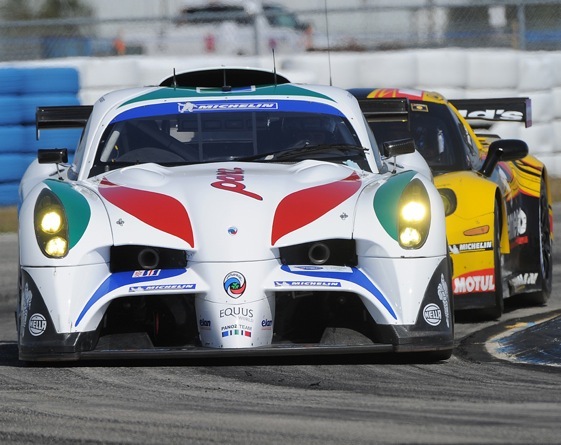 Bring some majesty to Sebring by re-building it while retaining its legendary grit? Don did that, too. At the end of the day, a recitation of so many motor racing accomplishments in such a short span of time – Panoz started his racing career at age 62 and it lasted up until his death at age 83 – does not really capture the man. He was a visionary and a serial entrepreneur who knew how to party, could be one of the guys and had an impish sense of humor despite always having an air of command. He accomplished many good things in the drug industry before he went motor racing and did likewise. You sometimes felt Don was peering at you from one corner of a very active mind. Was it an overactive mind? At times combative, Panoz sometimes tended to create opposition, whether it was there or not. Ne needed a bone to chew on. And not all of his initiatives worked, including some environmental projects. Interesting sports cars were a hallmark of Don Panoz’s career in racing. Don always had one working. Generally, he was two steps ahead of everybody in motor racing after his years in the rough-and-tumble trenches of marketing drugs around the world. In his annual “State of the Series” address at Road Atlanta prior to the Petit Le Mans, Don always invited anyone attending to visit him at his home near Surfer’s Paradise in Australia. In 2008, I took him up on the offer after agreeing to write a book on his life as a successful businessman. His house was situated high on a ridge overlooking the huge white crescent of the beaches of Surfer’s Paradise in the distance below. While staying in the “cabana” by the pool, Don and I would talk daily about racing and his business career. A man with a palpably strong intellect, he remained engaging and fun to talk with about his business exploits in West Virginia, Ireland and Georgia as well as motor racing and golf. He walked around the room pantomiming, for example, how he landed a private plane and its burned-up engine on an emergency landing strip located on an outcropping in the West Virginia mountains using a dead stick with only one chance to stick the landing. If he was upset you knew it because you could see the blood pressure rising, but Don never lost his cool. From the beginning, I approached the book as a journalist and Don would have preferred the approach of a public relations guy. Also, it was not a good time to be working on a book about his success in business. I arrived in Australia shortly after the collapse of the Lehman Brothers leading to a worldwide recession. A firm believer in Ayn Rand and deeply conservative, Panoz was not happy about losing so much of his market value from his fortune in stocks or the arrival of a liberal Democrat in the White House. He blamed the collateral debt obligation crisis on the government-sponsored mortgage companies. We eventually agreed to stop working on the book, which he wanted to call, “Drinking, Driving and Drugs”. He later found a PR writer to produce it for private release. Don Panoz took a chance on buying and rehabilitating the venerable Sebring road course. wealth as the fulcrum for a better world. Although I had cast an absentee ballot for Barrack Obama, from the present perspective of Don’s life and all the good resulting from his entrepreneurial efforts, it’s hard to argue with his viewpoint. Don was born to an Irish-American mother and an Italian immigrant father. That was after his father Gene lost family members to an earthquake in Italy in the Abruzzo region after coming to America solo to lay the groundwork for his family to follow. Gene boxed professionally before turning to operating Moose Lodges, which required a combination of skills: restauranteur, bar tender and promoter. Using connections that he first made through his father’s Moose Lodge in Pittsburgh, Don famously raised money from some of the members of the World Series-winning Pirates in 1961 to help launch future drug-making powerhouse Mylan in West Virginia. Panoz made good on his promises and got his money the hard way – by earning it. He took care of his stockholders, too. To take one example, he helped Pirates second baseman Bill Mazeroski, who grew up dirt poor in Ohio, become a multi-millionaire as a result of his Mylan investment. When a disagreement with his board of directors led to his departure from Mylan, Panoz took a mere $50,000 for his compensation and headed to Ireland, convinced that his new ideas about drug absorption would pay off. He grew the Elan Corporation into a world-class business over 25 years. It was a company that prospered initially with malaria drugs sold to third world countries, then generic drugs and partnerships on drug absorption development with major drug companies. Elan partnered with Ledele Labs in 1992 to introduce its nicotine patch. But it’s a story often misunderstood. After initial trials failed, Elan was a fourth entry in a nicotine patch market where major American drug companies were already active. The payoff came with royalties from those companies to Elan for introducing a methodology for the transfer of nicotine through the skin and then patenting it. With drug delivery licensing in full swing and a shift into full-scale new drug development, Panoz became a non-executive chairman at Elan in 1996 and began looking to other pastures after launching two major drug companies. It was the establishment of the American manufacturing arm for his company, Elan Pharmaceuticals, that initially brought Panoz to Gainesville, Georgia and eventually led to Chateau Elan and his career as a golf promoter and vintner. Professional golf promotion didn’t turn out to be a happy thing for Panoz, who had an eternal love for the game. He gave up on it after his relationship with the PGA fell asunder. But along the way, he created the Sarazen World Open held at the Legends course at Chateau Elan. Organizing human systems came quickly and easily to Panoz, who enjoyed using those skills to build sports properties and then promote them. He started young. When serving as an enlisted man in the Army, he organized a football game called the Shrine Bowl in Kyoto, Japan that matched a Japanese team versus an American outfit. The only constraints given to Reynard were the race car configuration had to match the new road car coupe that Danny was building, which meant a Ford V-8 and the engine in front. This began a penchant by Panoz for standing out in motor racing by doing things differently, a methodology he had long established by making wine from red clay in Georgia and giving up his American citizenship in favor of an Irish passport. If you’re looking for a true measure of the man’s capacity, consider the deal that helped send Panoz into billionaire status. Parallel to his exploits in motor racing, in 1997 Panoz was recruited out of retirement by his friend Carlo Salvi. The Gensia Sicor company of Salvi, which was heavily invested in producing active pharmaceutical ingredients, was struggling. On a visit to Georgia, Salvi persuaded Panoz to step in as CEO. At its low point, Gensia Sicor had a market capitalization of $90 million. After six years at the helm by Panoz, the company was sold to Israeli generic drug maker Teva Laboratories for $3.4 billion at the end of 2003. By then, Panoz was expanding rapidly in motor racing, helping to soften up the FIA by launching a European Le Mans Series in conjunction with the ACO. A lot of money disappeared in that effort, which initially failed. But the message was clear to the FIA that cooperating with Le Mans, especially with the European Union looking into the FIA’s monopolistic operations under the leadership of Max Mosley and Bernie Ecclestone, was a better idea. Eventually, cooperation on a world-wide GT3 class resulted and a new version of the World Endurance Championship. The last time I spoke with Don was in 2012 at the “State of the Series” the year the announcement was made that he had sold the American Le Mans Series, IMSA, Road Atlanta and the Sebring lease to the France family, which meant unification for North American sports car racing under the NASCAR banner. 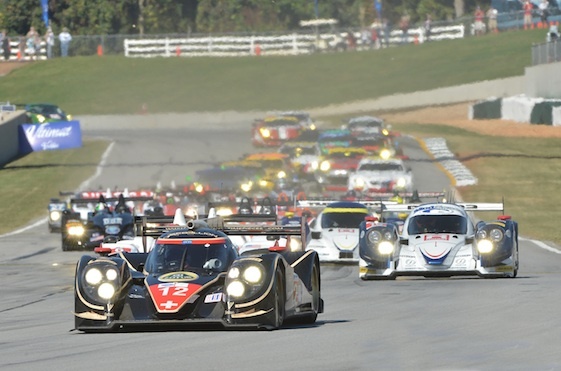 Informed sources put the sale price for Road Atlanta, the operating lease at Sebring, and IMSA at close to $30 million. Of course, Panoz had made at least another $25 million while operating the two tracks before selling them. Did Don spend more than $55 million on all his racing projects and various racing companies? Maybe. Maybe not. But he sure got his money’s worth – and so did we.